Unlike PPC ads, organic traffic is the gift that keeps on giving. When you diminish your PPC budget, your traffic goes away. When it comes to SEO and content marketing, though, things are much better. Sure, a website that’s updated infrequently won’t get you too far. But once you’ve gained a solid domain authority and created an editorial calendar that you stick to, the traffic is yours to have and to hold. Evergreen content has, of course, the biggest ROI in terms of traffic, says this study. It turn out that only one-third of all the views a good blog post will get are generated in the first day (the publish date). The rest of them will come gradually, even over the course of more than one year. If you’ve read my previous posts here, on Site Pro News, you already know that I advocate against vanity metrics. Who cares about having millions of page views if none of those visitors converts into a client? For my agency, as well as for every client we work with on copywriting or strategy, we ignore such metrics and focus on what matters: revenue. And, in SEO, there is no revenue without proper keyword research. One of the examples I’m most fond of is that of a client who contacted me after reading one of my articles here. The client needed SEO copywriting for a local business in a small town and wanted to optimize both content and blog posts for generic keywords (like ‘wedding dresses,’ for instance). We quickly realized the client had little chance of competing with the big names in the industry (which is, obviously, not related to wedding dresses). So we proposed a locally-oriented strategy instead. We were to optimize for keywords like “ivory wedding dress Tampa,” “wedding dress boutique Tampa,” “custom-made wedding dresses Tampa” and so on. The results appeared in a few short months. And by results I mean revenue, not just traffic. Before writing even a single word, you need to know to whom your copy should appeal. What type of customers are your targeting and in which phase of their buying cycle do you want to target them? For instance, optimizing your content for ‘wedding dresses’ targets clients who still don’t know what they want. They might not even have a date set. But who doesn’t like looking at pretty dresses? This strategy is excellent if you’re a big company in your field and you want to boost your brand awareness. 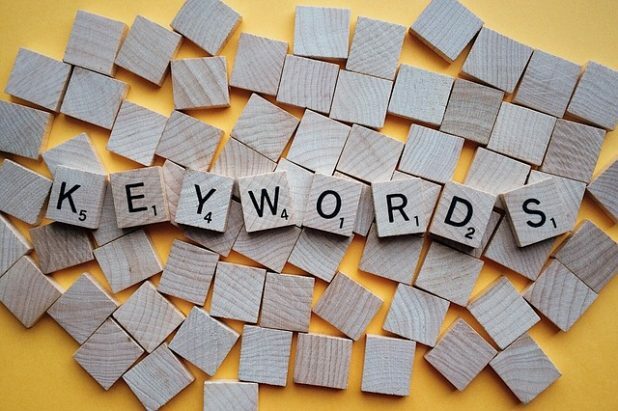 If you already have enough sales and don’t need customers right now, then by all means, optimize for generic keywords. On the other hand, a query like “ivory wedding dress Tampa” shows that the customers know what they want. They are very close to making a purchase; they are past the window shopping phase. This type of keyword strategy is ideal if you want clients faster. You appeal to people that you no longer have to educate – they are savvy shoppers. All you have to do is convince them to choose you over your competitors. Of course, highly targeted keywords won’t bring you as much traffic as generic ones. But they will bring you the right type of traffic. This is why I always advise our clients to forget about search volume when choosing keywords. Our SEO writers are trained to look for business opportunities whenever they do keyword research for our clients. Fifty queries per month that you can easily direct to your website and convert into customers or (at least) leads are better than 1,000 queries that have no tangible ROI. Before you start writing copy for a certain keyword, you should consider more than the Yoast green light. Yes, your WordPress plugin may say your on-page SEO is done correctly, but this doesn’t really matter if you’re up against Internet giants. At my agency, we rely heavily on tools like BuzzSumo and Moz Explorer to find out what it takes to rank for certain keywords. Your research can start on BuzzSumo to find out which pages rank highest for the keywords you have in mind. Repeat the search in Moz Explorer to double-check your findings. Moz Explorer will also tell you how hard it is to rank for any given keyword. However, please note that the ranking difficulty is a generic metric. It’s not specific to your website. This is where another Moz tool comes into place – the Open Site Explorer. Type your website address to check your domain and page authority. Then do the same for the websites you want to outrank. Do they have higher authority than you? Then you will have to work harder to outrank them. This means more content, long form blog posts, impeccable technical SEO and a lot of content promotion. The best part about this is, once again, that it is an investment that will keep on giving. The more long form, well-optimized content you add, the better your page and domain authority will get in time. And, consequently, you will rank higher in SERPs. Login to your Google Search Console, navigate to ‘Search Analytics’ (you’ll find it under ‘Search Traffic’) and select the 90 days time frame. Filter your branded results. If your company name is ‘Executive Puppies,’ filter all those that contain it. Next, export your search terms. You will have a complete overview of the terms you rank for, your CTR and your ranking for each of them. And now, for the hard part: take a look at those who could rank better. How much effort would it be involved in adding more content to certain articles or pages to help them rank higher? Most importantly, what ROI will this effort have? Sure, you’ll get more clicks, but will you actually get sales if you rank higher for certain terms? Make sure to not spread yourself too thin and only invest in those terms that are congruent with the user intent you need, the one that supports your business goals i.e. boost brand awareness or generate sales or leads. No one doubts that content marketing and SEO yield results. But we should always avoid falling for vanity metrics. Organic traffic is great, but it should be your end goal only if your blog runs AdSense (and you get paid for views, not clicks). Otherwise, keep in mind that your SEO and content marketing strategies should always be designed to support your business goals. Always go back to your buyer persona template and ask yourself how can you match the type of query they would enter in the search bar. Has Google Hummingbird Killed Keyword Research?